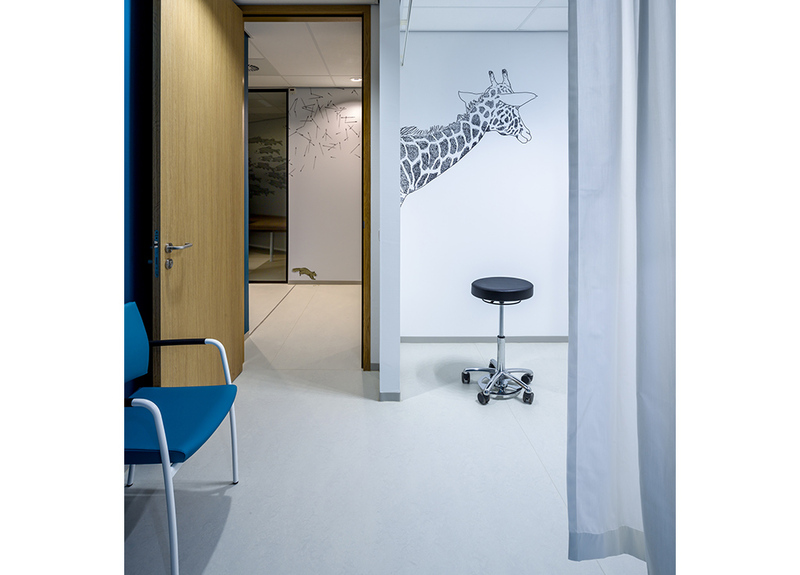 The healthcare sector is developing rapidly. 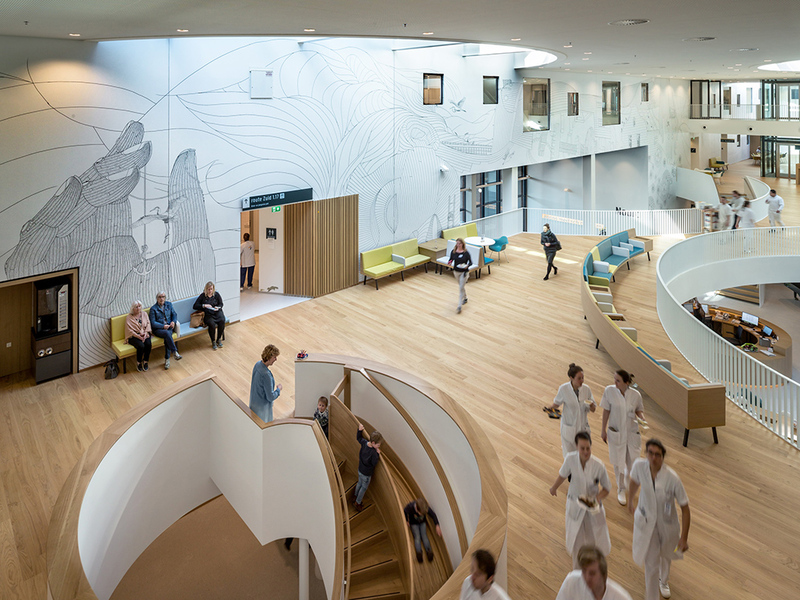 We are witnessing a shift in the relationship between caretakers and patients as patients are increasingly better informed and act accordingly. 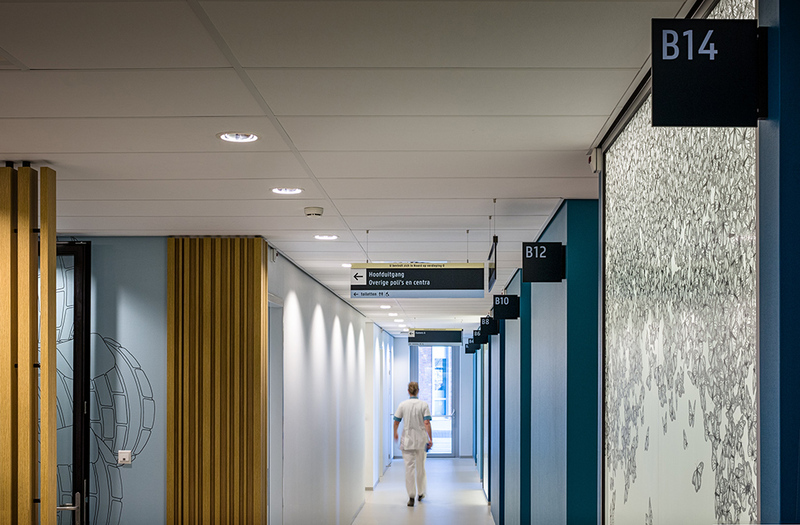 Public policy as well as technological development help create a healthcare situation in which competition increases and new partnerships are formed. 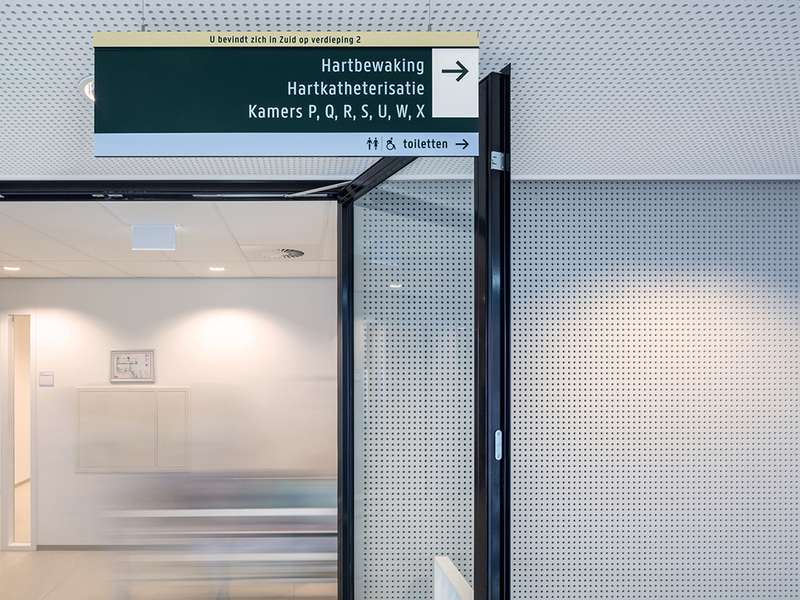 Quality is no longer solely defined by medical care alone. 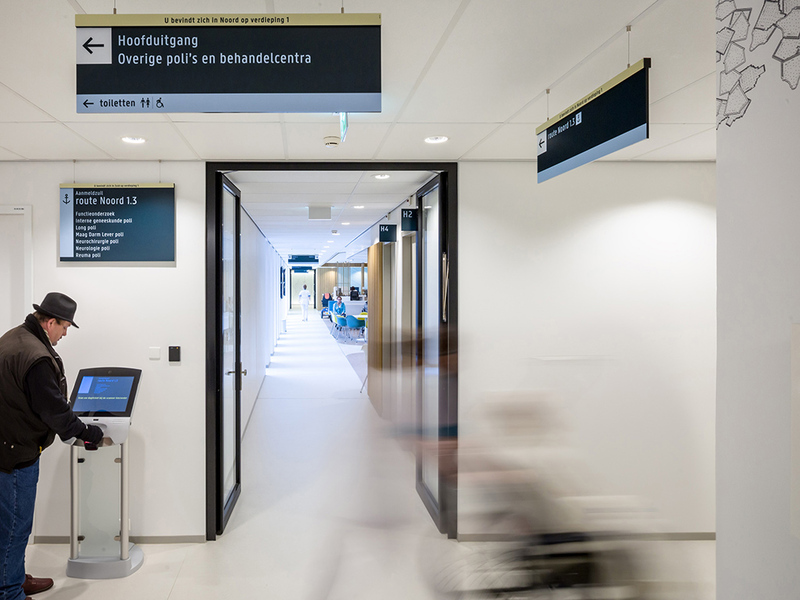 Patients take into account their entire experience when valuing hospitals. 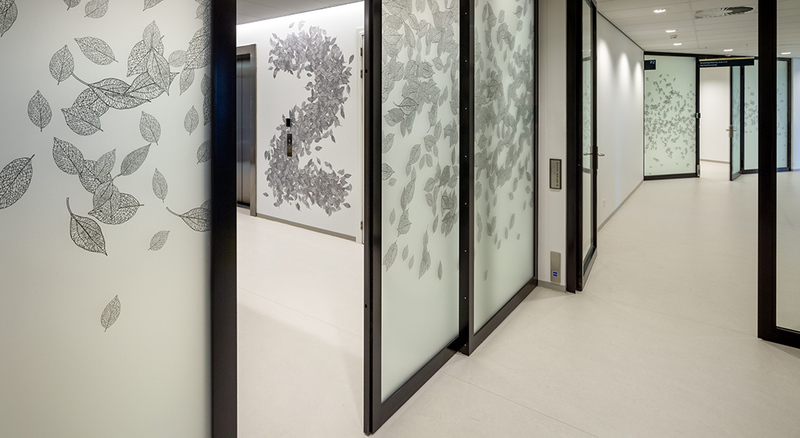 After years of development, Zaans Medical Center (ZMC) opened it’s doors in January 2017. 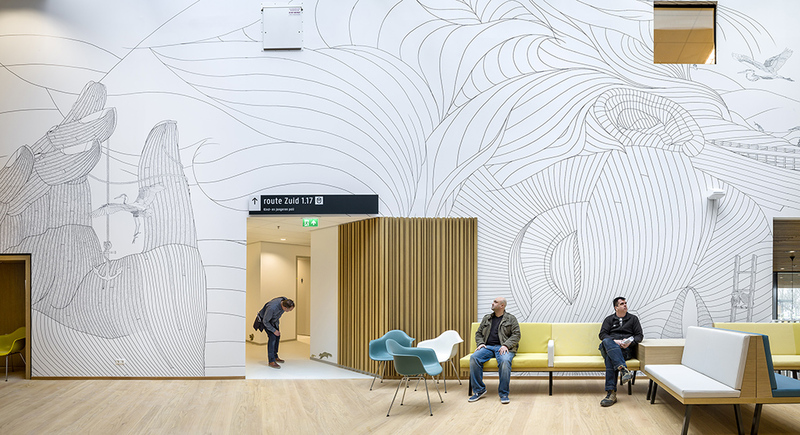 In collaboration with Mecanoo Architects, SILO developed a distinctive ‘healing environment’. 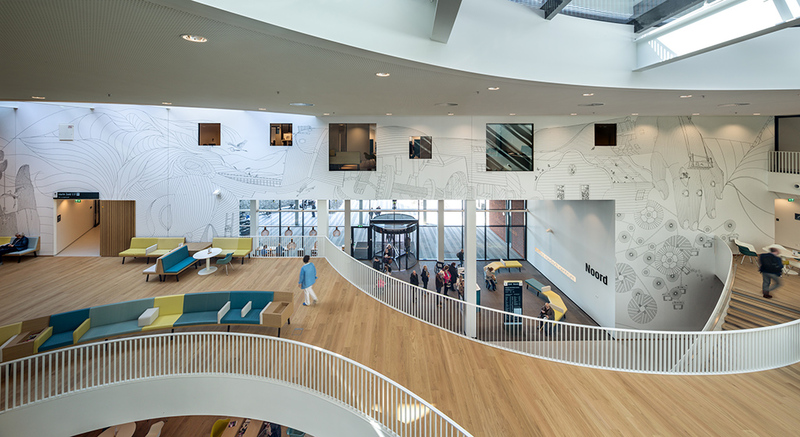 Patients and visitors of the new Zaans Medical Center will experience an atmosphere designed to support their recovery. 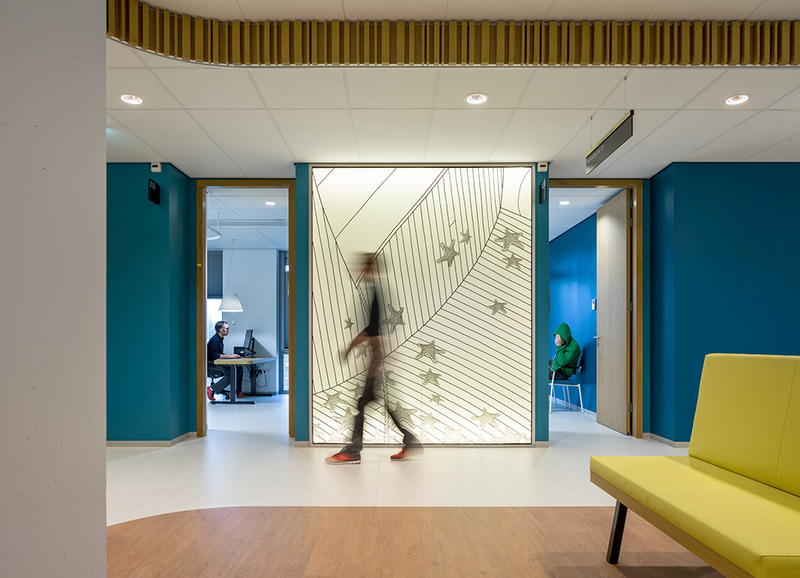 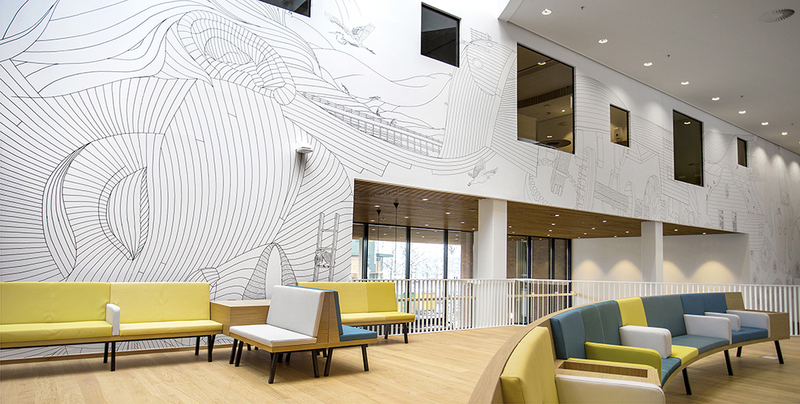 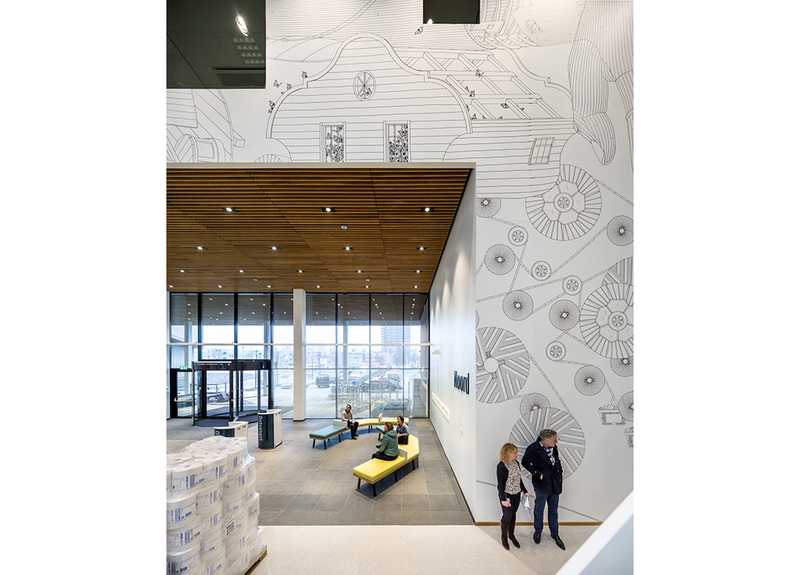 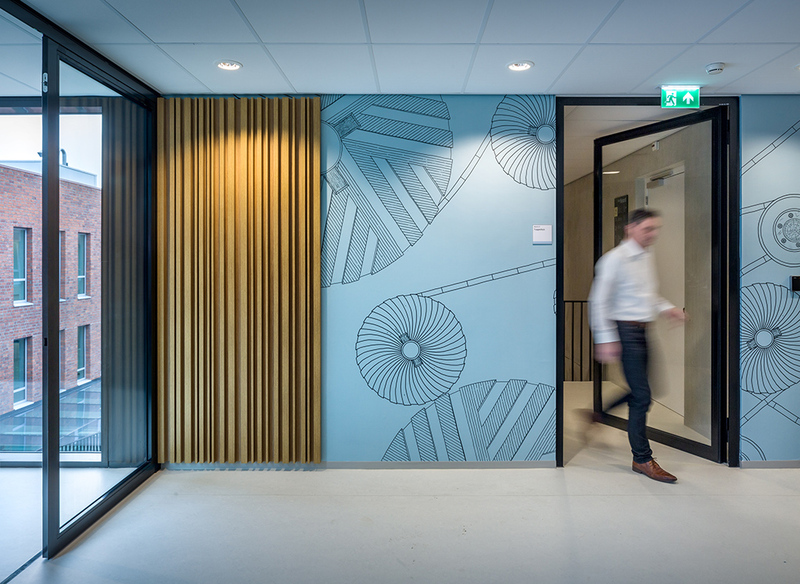 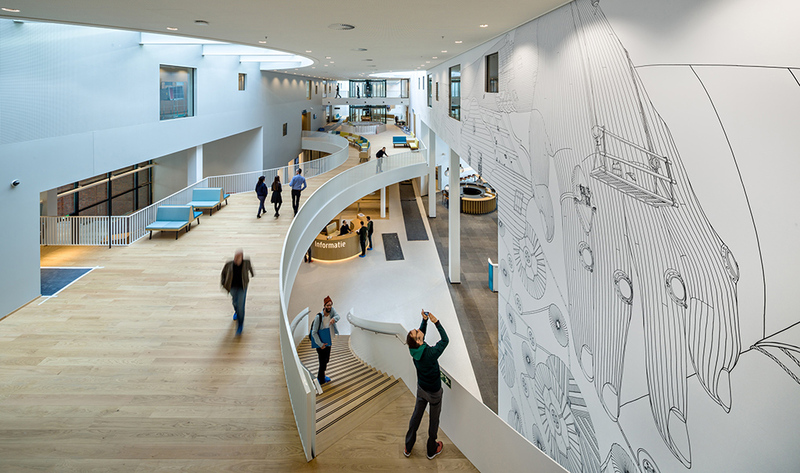 The outcome of the project includes 3,500 m2 of hand-drawn illustrations integrated into the architecture and scattered around the hospital walls, glass facades, light boxes and lifts. 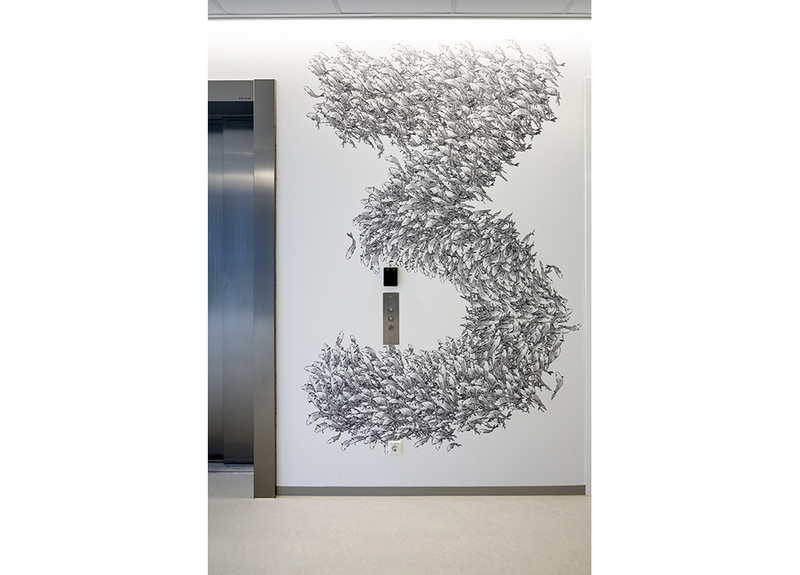 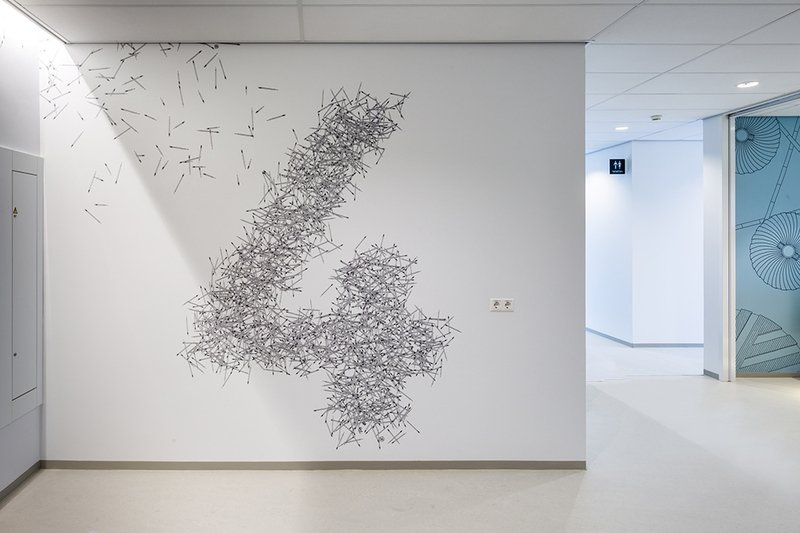 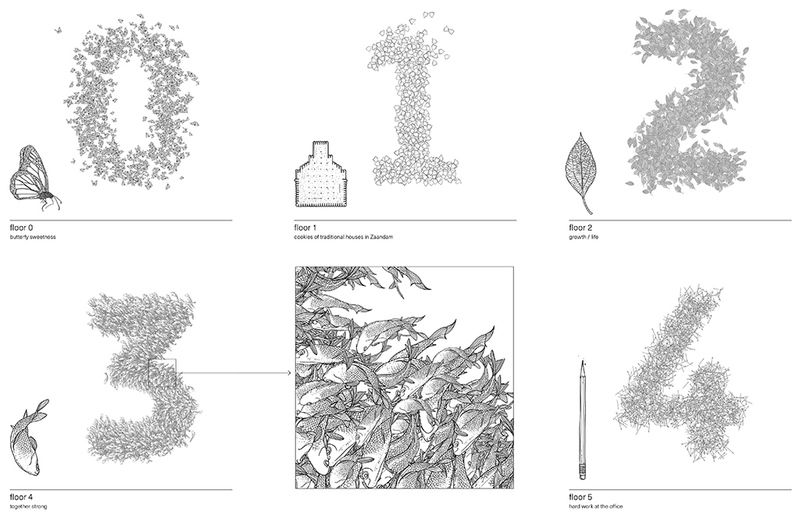 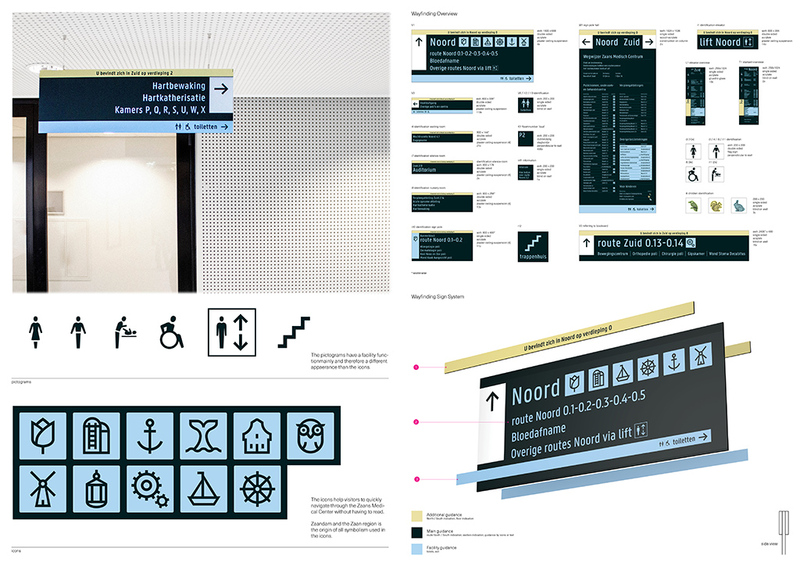 Along with ZMC, SILO developed the internal and external wayfinding and signage, and a visual identity.